Thinking about starting a new small business or startup that is heavily technology-based? Or do you already have a tech-based small business or startup that you are actively working on growing? If you are in one of the two categories above, is design one of your priorities? Chances are, it isn’t. For most tech-based small businesses and startups, the focus is often on the product and how it can serve prospective customers. That is where their focus should be. However, along with wanting to either make a profit or raise funding as a priority, maybe you should consider making design a priority as well. “Wait, design? But I’m not a designer!” Yes, I hear you loud and clear. Most of those in the tech-based world who start their own business or are creating a startup are not designers, and I get that. This is even more of a reason why tech-based businesses/startups should make design a priority (even if it means hiring designers to help). Great design attracts and maintains attention through visual communication. Much like body language is a form of communication when speaking with someone, design is a form of visual communication when providing information in print or web form. While your websites all have lots of words on them talking about your product/service, what is your website saying if all of the words were gone, or in a foreign language you don’t speak? Is it still saying the same thing(s)? Your business should be saying the exact same things with the design as it does with the words you use, which is a great way to attract attention using design. With design being a form of visual communication, often the way we present ourselves means much more than what we say about ourselves. This holds true with tech-based small businesses and startups as well. In a time where technology is constantly changing around us, new apps and websites are launched every single day, and new technologies are being brought to the marketplace for us to experience, more and more people are starting to see the same types of offerings, often designed in the same style, and are hearing and reading the same things (i.e. “this will make your life easy” and “so easy to use”). What will set you apart is how well you can visually communicate the same things you are telling your customers in hopes to not only grab their attention, but keep it and evoke excitement. This attention leads to great things: buzz about your product/service, brand ambassadors who will start sharing your name, an overall pleasant impression by those who have or would like to purchase your offering, and ultimately more customers and higher profits. When time, effort, and care are put into making sure every piece of your tech-based small business or startup is well-designed, it naturally demands attention through visual cues and, if done well, will keep and maintain that attention while communicating vital information. That last element is what most small businesses and startups want – to maintain attention. When any business is able to maintain attention for more than just a few seconds (which is often the time span most people give to anything online), then you have achieved what few other businesses have or can: excitement. Great design often evokes excitement as it communicates effectively what is already being said with any words used. With making design a priority, you are telling your prospective customers and the general public that you are fresh, that you are different, that you are professional, and that you are serious and excited about your offering. It shows that you understand customers in the technology world who are often looking for the latest and greatest thing. It shows that you have spent considerable time in research and development and that your marketing efforts are focused. While it was easy for me to give all of the reasons above, I think the best way to explain the importance of design in tech-based businesses is to show you a couple examples of such businesses who have made design a priority. Square is my favorite example when talking about making design a priority. For those of you who don’t know, Square is a startup whose mission is to simplify the process of accepting card payments. It changed the way small businesses can accept credit card payments by making it easy to accept payments in minutes using its smartphone or tablet app, and its free card reader. Square also made its fees simple to understand: one flat percentage per swipe – no hidden fees. What is most attractive about its offering and how it deliver its service is the way they have handled design. With minimal investigation, it is evident that it made design a priority. Square developed a logo to match its name and took that logo shape and used it throughout everything: the card reader, the icons on their navigation of its site, even down to their packaging of its card reader and the rounded-corner square shape in their instructions and packaging. 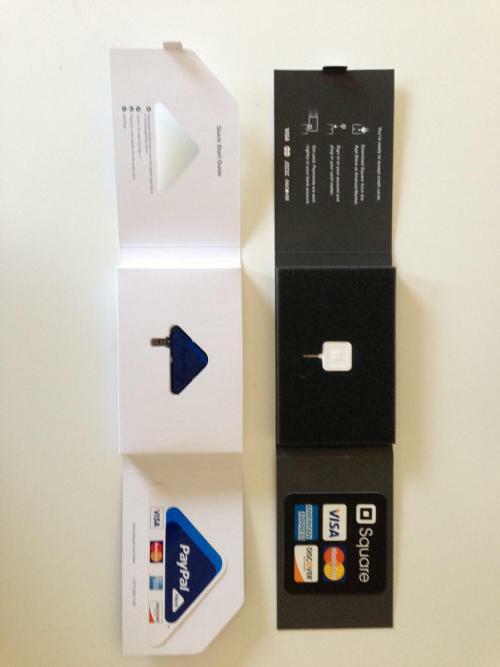 The packaging of Square’s card reader alone is so well designed that it was recently discovered that PayPal’s competing product’s packaging has taken many cues from it. Other than Square’s packaging, the website is simple to navigate and informative — clean and very simple in design. Since a key selling point of Square is the ease with which users can start using the service, it has conveyed this in the website by keeping the site simple while providing information in concise but informative copy. Even down to their dashboard for users: it is very easy to navigate and see their financial information without overwhelming the users with tons of options and links. Square has not only grabbed attention because of its radically new way of taking credit card payments, but has been able to maintain that attention with the use of design from its website, to its dashboard, to its card reader and to its packaging and marketing. Square went with a very simple but polished design aesthetic which not only matched its message, but also helped build confidence in prospective customers who are considering trusting their money and sensitive information with a new startup. For businesses and startups that have started business but didn’t make design a priority from the start, it is never too late to start making design a priority. Let’s take for instance Foodspotting, which recently redesigned its website. While I am not saying that it didn’t have design as a priority when they started, it is definitely apparent that design is a priority now. Foodspotting redesigned its website to have a very clean and minimalist design. As the article linked above shows, it got rid of much of the “clutter” on the site and opted for a more simple design that focused more on the food imagery than on a map. It wanted the food to shine in its redesign by making the food imagery stand out and appear more appetizing. The website redesign comes after it redesigned its app earlier in the year, which shows again it is making design a priority. Foodspotting felt the need to improve upon the app that is the heart of its business, and wanted to improve the service by providing a well-designed and great functioning app to do so. As founder Alexa Andrzejewski mentioned in her blog post (link above), her team wanted to unify the experience between the mobile app and their website, which was accomplished through design. Footspotting is grabbing attention as people are excited about the new redesign and are now introducing people (like me) to the service because of the buzz that it is generating. With all of the money tech-based small businesses and startups are spending on marketing and getting their messages just right, some of that money could be used to make design a priority and visually communicate to customers the same things they are saying with their marketing copy. When design is made a priority, your customers see it and they react because you have gained their attention and maintained it long enough for them to start talking about it with friends and family and sharing it with people they know. Great designs make you look good and make your customers more attentive to your offerings, all of which in turn will help with your profits and sales. 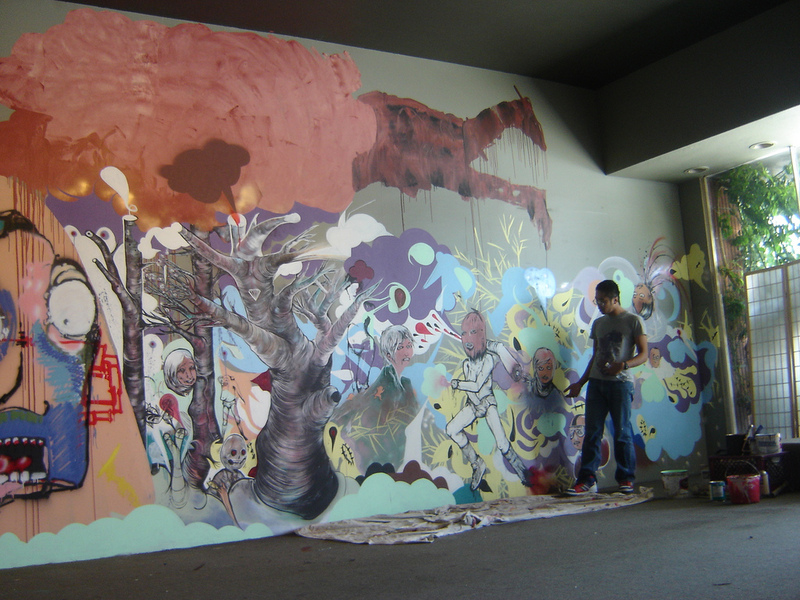 Great design attracts and maintains attention through visual communication.